It’s the worst feeling in the world: you use your credit card and it’s declined. Not only that, you know you haven’t reached your limit or gone on any shopping sprees, so what gives? Think your credit card has been hacked? We’ve compiled an easy list of tips that will help you recover and get back on track. There’s a list of things you should do if you ever find yourself in this situation. We’ve compiled them into one easy list to help you out if you ever find yourself a victim of credit card hacking. Worried that your identity theft has been stolen? We’ve got an article for that. Easy for us to say, but it’s the first step to getting through this. Oftentimes a simple mistake can be attributed for why you’ve reached your limit. A merchant might have double charged your card, or you might have forgotten about something you’ve purchased. If your spouse or a friend shares the same credit card account with you, they might have made a big purchase without notifying you. Investigate first; save the panic for later. Call your bank and check for recent charges. Where were they made? What are their amounts? Can you contact those businesses? 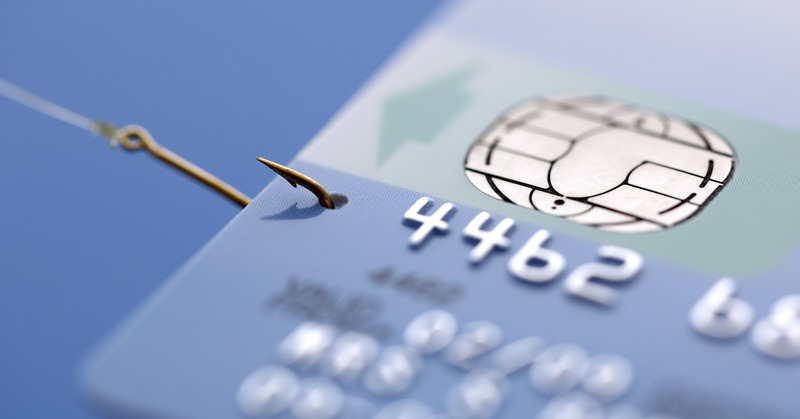 If you do determine that your credit card has been hacked, report it right away. You’ll need your account number, the date you noticed something was wrong, and the date and amount of your last purchase. Then call one of the credit reporting agencies and place an initial fraud alert on your credit report. This service is free, and whichever bureau you choose must notify the other bureaus too. An initial fraud alert makes it difficult for thieves to open new accounts in your name because businesses have to verify your identity first. This would be a good time to order your credit reports. Not only are they free after an alert, you’ll be able to see any unauthorized charges or accounts and dispute them early on. The longer you wait, the greater your liability. Finally, create an identity theft report with these tips from the FTC. Once you notify your creditors by phone be sure to send written notification too. It’s hard to prove a phone call, but easy to prove a certified letter, and that proof might come in handy. According to the Federal Trade Commission, how quickly you notify your creditors determines your amount of liability. Keep the following in mind as you work your way through the issue. If you report a theft before any unauthorized charges are made, you won’t be liable for anything. If you report within two business days after you learn about the loss or theft, your maximum penalty would be $50. If you report your loss after two business days, but less than 60 days after your statement is sent to you, you’re maximum liability would be $500. If the loss is reported more than 60 calendar days after your statement is sent to you, you could be liable for all the money taken from your ATM/Debit card, and possibly more. Monitor your statements closely over the next few months. If you need to report more fraudulent charges, you’ll need to make sure that you have accurate records of the dates and times you called for each issue. Any correspondences with your creditors, the credit reporting agencies, or any businesses you contact in regards to the fraud should be logged and dated. Keep a copy of all documentation. Sadly, credit fraud is on the rise. Worse, if your wallet is stolen your bank’s contact information almost always disappears with it. For that reason we recommend you store that information in a secondary location. Time is of the essence when dealing with thieves and so you’ll want to make sure you have phone numbers handy if your credit card is hacked. Don’t forget, there are a lot of options out there if you’d like to take steps to protect your financial information. Web sites like LifeLock and IdentyGuard, and apps like BillGuard will monitor your accounts and alert you if there is any suspicious activity.